Top Republicans in Congress expressed their dissatisfaction Wednesday about getting answers from the FBI, as lawmakers trying to investigate Russia’s meddling in the US election say they’ve continued to see no evidence of President Donald Trump’s claim that he was wiretapped by his predecessor. The FBI’s decision to brief the Senate Judiciary Committee comes after the committee’s Chairman, Sen. Chuck Grassley, threatened to not schedule a vote for Rod Rosenstein to be deputy attorney general unless his panel got the FBI briefing he and the committee’s top Democrat, Sen. Dianne Feinstein of California, requested weeks ago. Grassley said he was frustrated that officials haven’t been as forthcoming as lawmakers would like, and said his committee hasn’t been given the respect it deserves for its oversight of the executive branch. “That’s very irritating,” Grassley told CNN. He wasn’t the only Republican venting his displeasure: Sen. Lindsay Graham, who sits on a subcommittee that’s seeking FBI answers, said earlier that he would subpoena the agency for information if it wasn’t provided to him and fellow subcommittee member Sen. Sheldon Whitehouse. “He needs to answer the letter and give the nation some information about what’s going on here,” Graham said. 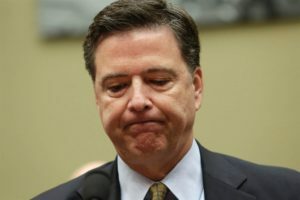 It was also announced Wednesday that Comey will testify at the House Intelligence Committee on March 20 hearing and there will be a second hearing in the committee March 28, the committee’s chairman said. “I don’t think there was an actual tap of Trump Tower,” said Nunes (Calif.). He added that if you are taking Trump’s tweets literally — which he said you shouldn’t do — then “clearly the president was wrong”. CNN reports that Devin Nunes said he does not believe Trump’s claim that Obama wiretapped him, but said it’s possible Trump communications may have been gathered in “incidental” intelligence collection. “I don’t believe Trump Tower was tapped,” Nunes told reporters Wednesday. “We don’t have any evidence that that took place and, in fact, I don’t believe — just in the last week of time, the people we’ve talked to — I don’t think there was an actual tap of Trump Tower,” Nunes said at a news conference in reference to the claim originally made by Trump several weeks ago. Nunes and Rep. Adam Schiff, the ranking Democrat on the House Intelligence Committee, said they want to see any evidence of wiretapping by their March 20 hearing or they may also issue a subpoena for the records. Nunes and Schiff also sent a letter to the FBI, CIA and National Security Agency demanding information on the leaks regarding Russia’s contact with Trump advisers by Friday. The two leaders of the House investigation said their work has been stalled so far by trouble accessing computers used by the director of national intelligence — Schiff said he has been taking handwritten notes when he views evidence. The two have not yet interviewed former national security adviser Gen. Michael Flynn and declined to say whether he would appear at a public hearing. 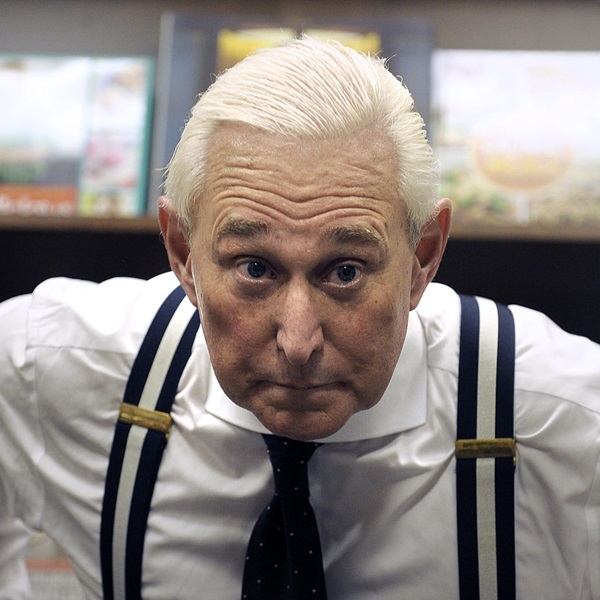 Schiff added that he is very concerned about Trump adviser Roger Stone’s admission that he communicated with “Guccifer 2.0” — who was later determined by intelligence agencies to be a Russian hacker or group of hackers. Pro tip: longtime GOP ratfucker Roger Stone is a stone-cold liar and literally nothing he says can ever be believed without independent confirmation. But Senate Democrats on the Intelligence Committee said they have not seen any evidence yet. “I’ve heard nothing. But I’m strongly of the opinion there was no wiretapping,” said Feinstein, a veteran member of the panel. Burr said Wednesday he did not have an update on when his committee would have their first public hearing on Russia. Attorney General Jeff Sessions said Wednesday he never gave Trump any reason to believe the GOP candidate had been wiretapped by the Obama administration during the campaign. The White House has vacillated on Trump’s claims in the last two days. Press secretary Sean Spicer said Monday that Trump did not mean literally that Obama personally wiretapped him. But on Tuesday, Spicer said Trump was “extremely confident” he would be vindicated by the evidence. “I think there’s significant reporting about surveillance techniques that existed throughout the 2016 election,” Spicer said, without providing any examples. “He feels very confident that what will ultimately come of this will vindicate him,” Spicer said. Trump made his comments during an interview with Fox host Tucker Carlson that is scheduled for the cable channel Wednesday evening. Time is running out on Trump’s ability to continue to play his insinuation game without producing any evidence. It’s looking as if March 20 is the day that FBI director James Comey will have to testify about the Trump-Putin campaign investigation to congressional committees. This does not necessarily address any separate investigation by the intelligence agencies. will see if their is evidence of crimes committed by trump with russia on march 20 ;but I doubt it. my bet is SSDD.